Food: Impressively innovative seafood dishes with unique and delightful flavour combinations. If you like to play it safe, this might not be your first choice. 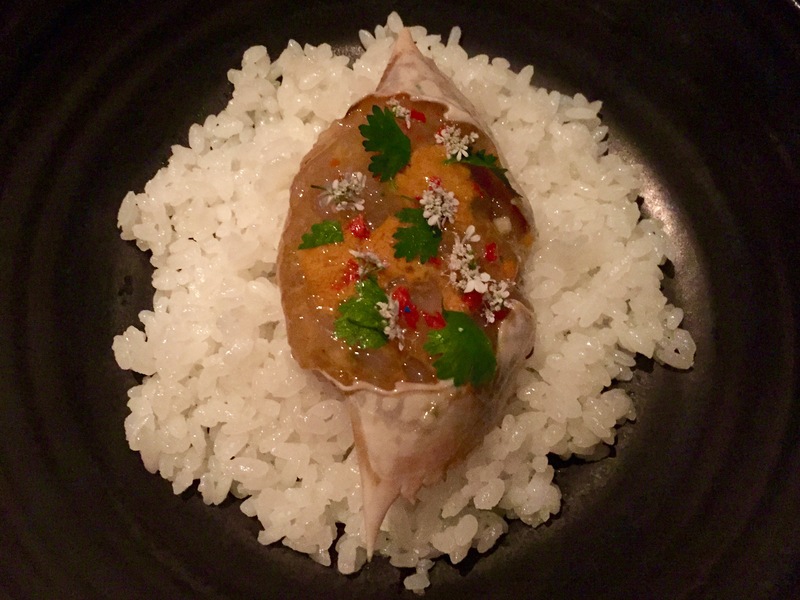 This restaurant will appeal to more adventurous dinners who like fresh seafood, and who are not shy about trying items like sea cucumber or sea urchin. They also have various types of whole fish done in different ways that can be shared between 2-3 diners. Service: Attentive, knowledgeable and friendly staff. 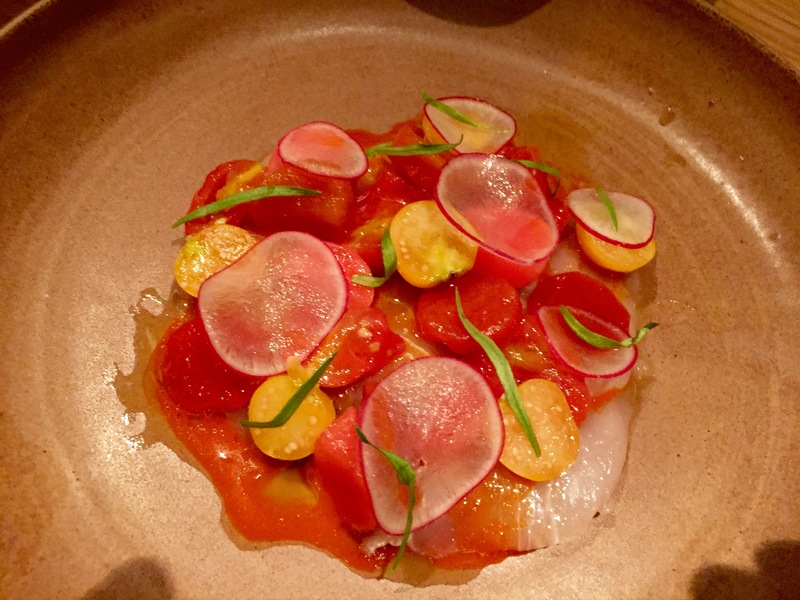 Must try: Marinated crab claw and sea urchin rice, crudo with fermented chilli and confit tomato and salted garoupa with clams and potatoe brandade. Ambience: Cosy, simple and chic. There is also a bar counter for single diners. 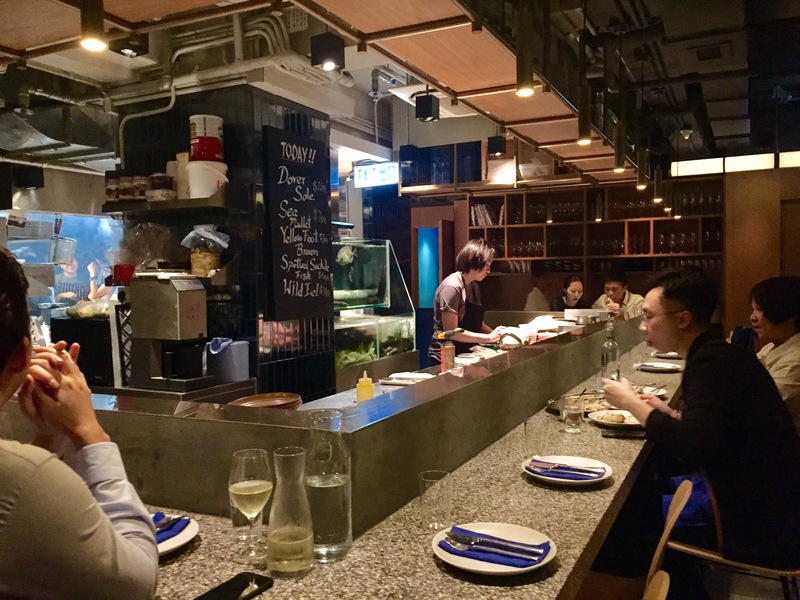 This entry was posted in adventurous, Asia, Eat, Fish School, Hong Kong, Raw seafood, Sai Ying Pun, Sea urchin, seafood. Bookmark the permalink.